When you are arrested for a DUI, it triggers two separate but parallel actions, both of which can have negative license consequences for you. One is a civil action by the Department of Licensing, which will automatically occur, unless the driver requests a hearing within 20 days of the date of arrest. The other way you can lose your license to drive is if you are convicted of certain driving offenses, either by pleading guilty or being found guilty after a jury trial. DUI and Reckless Driving are the two most common convictions that trigger license consequences discussed in this section. In this section you will find information about the most common questions our clients have when dealing with license consequences and a DUI arrest. If at anytime during your research you have questions or you would like to speak with a member of our experienced team to schedule a free consultation please call us at 253-383-3328, or e-mail us at OFFICE@WILLIAMAWHITELAW.COM. If you are unsure about your license status you can visit the Dept. of Licensing's website and check your status here. In the coming sections we will explore the two ways the government will attempt to suspend or revoke your privilege to drive, what those sanctions look like, the impact on a commercial driver's license, and how you can continue to drive if your license is suspended or revoked. Being aware of the current status of your license while a DUI is pending is of critical importance. Why? First, you could face additional criminal charges as driving with a suspended license can result in a new separate criminal charge from the DUI; driving with a suspended license (DWLS), usually in the 2nd or 3rd degree. Second, if you are caught driving without a valid license while your DUI case is pending, you will have violated your conditions of release which will likely result in the judge altering your conditions of release to be more strict. Finally, a new criminal charge, like driving with a suspended license, can drastically impact any progress your DUI defense attorney may have made in negotiating your case with the government. Both judges and prosecutors are looking at your behavior while your charge is pending as an example of how you may behave after the resolution of the charge. If you continue to violate the law, it will be reflected in what a prosecutor is willing to do and what a judge may impose at sentencing. Below, we will explore your options on how you can continue to drive if your license is suspended or revoked, but, when in doubt, if you don't know your status, don't chance it, don't drive! The Department of Licensing (DOL) sanction for a DUI arrest is important to understand because it requires you, or your attorney, to request a hearing to contest your license suspension/revocation, or the license sanction automatically goes into effect after a certain period of time. On the 61st day, after the date of your DUI arrest, the DOL will suspend or revoke your license for a set period which depends on your prior offenses and facts of your case. The lowest amount of time is a 90 day suspension. Note that the 61st suspension date above can be delayed if a blood test was conducted and the results took longer to reach the DOL. If you want to fight this sanction, then you, or your attorney, must submit a request for a hearing to the Department of Licensing along with the required hearing fee of $375, which you must pay, unless you qualify as indigent. You have 20 days from the date of the arrest to request this hearing. If you fail to request a hearing during this time, you waive your ability to fight it. **Note the 20 day time requirement is scheduled to change in 2018 to 7 days!! If your initial request for a hearing is granted, the license sanction will be "stayed," that is, not go into effect, until the Hearing Officer makes their decision, as reflected in the final order. This is a civil hearing, most often conducted over the phone, with a Department of Licensing appointed Hearing Officer. The standard of guilt is a preponderance of the evidence not beyond a reasonable doubt. This is a lesser standard than is required in a criminal case. There are only four issues that the Hearing Officer must rule on. A Yes to all four and you lose, a No to anyone of them, and you don't lose your license. Whether the driver either refused the test or a valid breath or blood test was conducted and the results of which were above the legal limits for alcohol or marijuana. A minor driver is also subject to this type of license sanction for a DUI arrest. The legal limits for a minor driver is.02 for breath/blood and 0.00 ng for marijuana. After the hearing, the Hearing Officer will consider all the evidence presented, then prepare and send a Final Order, which includes their ultimate decision and their findings of fact and conclusions of law. The Hearing Officer's timeline to complete the final order and send it out is often 30 days, although it can take more or less time. If the Hearing Officer upholds the suspension or revocation, the Final Order will contain the date your license will be suspended/revoked, and you must stop driving, unless you obtain an Ignition Interlock License. See below for more info on this type of restricted license. If you disagree with the Final Order, you have the ability to appeal the decision to the Superior Court in the county where you were arrested. 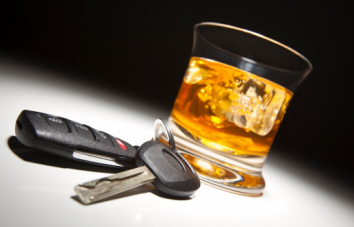 There are additional costs associated with an appeal that an experienced DUI attorney can go through more thoroughly. License consequences for a criminal conviction are more straight forward than the DOL side. These sanctions occur if you plead guilty to certain driving offenses or you are found guilty after a jury trial. These sanctions can range from a 30 day suspension, a 90 day suspension, a 1 year revocation, or all the way up to a multi-year revocation of your privilege to drive. After you are sentenced the court will send the DOL notice of the conviction and the DOL will send you a letter telling you what your sanction is and when it will take effect. The only good news is that these two parallel actions do not stack together. Because these sanctions arise out of the same incident, you should be given day for day credit. For example: let's say you fail to respond to the civil DOL sanction and your license is suspended for 90 days. You are then found guilty of a DUI with a breath test below .15, the consequence is a 90 day license suspension. However, because you get day for day credit, you should only have to serve a total suspension of 90 days. How and when this gets credited depends on each case but an experienced DUI attorney can help guide you through this process and dealing with the DOL. Whether you lose your license because of the civil DOL action or due to a criminal conviction, you should still be eligible to obtain an Ignition Interlock License, so that you can keep driving while your license is suspended or revoked. How can I keep driving if I lose my license? But, I have to drive! I'll lose my job! How will I get my kids to school! I can't take the bus! As much as our cities and towns work to improve public transportation, it's simply a fact of life that losing your ability to drive can have a huge negative impact on your life. Fortunately, there is a way you can continue to drive if your license is suspended or revoked due to a DUI charge. The legislature has created several restricted licenses, including what is commonly known as an Ignition Interlock license or IIL. It is called this, not surprisingly, because you can only operate vehicles that have a functioning Ignition Interlock in the vehicle. In order to obtain an Ignition Interlock License, you will need to apply to the Department of Licensing and be approved prior to driving. To visit the DOL website for a more detailed explanation click the link --> here. Install a functioning ignition interlock device in your vehicle. The installer will send the DOL proof of installation. Get proof of financial responsibility, such as a Certificate of Insurance (SR-22). You car insurance agent can assist you with this and will send this directly to the DOL. 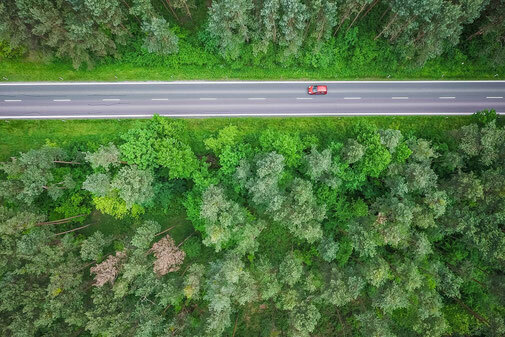 Once the DOL approves your information, they will send you a letter, this letter will be your restricted license, so be sure to keep it in your vehicle at all times. This approval process can take up to 10 days so it is important to move quickly if you lose your license, as the DOL will generally only give you a 7 day warning before your license is suspended or revoked. This is a very general outline of the Ignition Interlock process and subtle differences can exist depending on your individual circumstances. An experienced DUI attorney can guide you through the process and answer all of your questions specific to you. If you would like to speak with an experienced member of our team to set up a free consultation, please give us a call at 253-383-3328 or e-mail us at OFFICE@WILLIAMAWHITELAW.COM. If you have a Commercial Driver's License (CDL), hiring an experienced DUI attorney is of critical importance. Being arrested of a drinking and/or drug related driving offense triggers specific sanctions for CDL drivers that can differ depending upon whether you were in a commercial motor vehicle or your personal vehicle. If you are arrested for a DUI in your personal vehicle, not only can your personal license be suspended or revoked, but your CDL can be disqualified for a minimum of 1 year. Whether you will lose your privilege to drive on both licenses will be decided in one hearing under the authority granted in RCW 46.20.308 and explained in detail above. What does a CDL holder need to know? If you are not driving a CMV at the time you are arrested, if your personal driver's license is suspended or revoked, your CDL will be disqualified for a minimum of 1 year. If you are driving a CMV at the time you are arrested, if you either A) refuse the breath test, or B) submit to the test and your breath test is 0.04 or more, your CDL will be disqualified for a minimum of 1 year. Note that Washington courts do not require law enforcement provide you the above warnings prior to requesting a breath test, and the Implied Consent Warning statute does not require these warnings either. Hiring an experienced DUI attorney that is familiar with not only DUI defense but the specific statutes, penalties, and license consequences for a CDL holder is critically important as the loss of a CDL is often the loss of employment. Moreover, losing your CDL can have long term consequences on future employment.